Employees are usually familiar with the more obvious hazards in the industrial facility they work in. Maybe they’re working near open flame, or another heat source. Maybe there are chemicals involved in processing. However, employees typically aren’t as familiar with the industrial ergonomic hazards that they face in their job. Employers are required to protect employees from ergonomic hazards. Citations received for workplace hazards, which include ergonomic ones, from the Occupational Safety and Health Administration (OSHA) can cost companies hundreds of thousands of dollars in daily fines. With significant fines resulting from citations and the risk of permanently injuring employees, it is critical that companies use best ergonomic practices. Ergonomics is the study of how to improve the fit between the physical demands of the workplace and the employees who perform the work. Simply put, ergonomics is fitting the job to the worker, not the worker to the job. Poor ergonomics can lead to musculoskeletal disorders, which include more than 150 diagnoses that affect the body parts that help us move. With symptoms including pain and limitations, employees will see effects both at work and at home. In addition, treatment can be expensive and extensive, and both employers and employees can potentially face significant bills. Instead of putting employees at risk, training them in good ergonomic practices can reduce the risks of developing an MSD. Found in facilities with assembly lines, packaging, or quality control. Any posture where the body deviates significantly from the neutral position while performing work activities. Can include both sitting and standing positions. Known as manual material handling by the CDC. Frequent handling of too-heavy loads and/or loads with no handles, and poor maintenance of both equipment and the facility. While some are cured with rest and time off, others are permanent and will affect the employee forever. They can used both to reduce the lifting and carrying in a task, but also to reduce the amount of bending an employee needs to do. For example, using a forklift to bring a load to the same height as the shelf it is going on can reduce the need to bend over and lift. 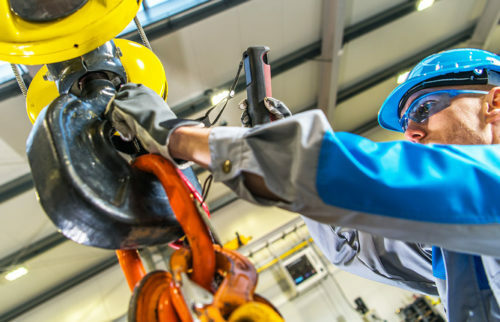 In addition to using material-handling aids and practicing safe lifting, employers should ensure that employees are receiving regular training, practicing good housekeeping, and using safe scheduling to reduce the risk of injuries. Safe scheduling gives employees the opportunity to rotate the type of task that they’re doing. Employers should also add anti-fatigue floor mats to standing work stations, purchase ergonomic chairs for sitting stations, and encourage employees to alternate sitting and standing as much as possible. There are many options for both employers and employees to prevent poor ergonomics. Simply making a few small changes to the facility can lead to reduced injuries, less time off needed for MSDs, and improved employee morale. SafetySkills covers these topics and more in our Confined Space Awareness course. For more information, click here.